Gardeners of Eden, Rediscovering Our Importance To Nature (my second book) has been reprinted by the University of Nevada Press. Copies are available at Gardeners of Eden nevada press. Gardeners serves as a handy way to delve deeper into the insights and principles revealed on this website and includes a number of examples of the application of those principles, including descriptions and photos of the paradigm-shifting results achieved by the people who awakened me to them. Comments by the University of Nevada Press and various reviewers on the back cover add an excellent assessment of the importance of Rediscovering Our Importance To Nature. You can read those comments below. I’ve presented a lot of evidence here on Dan Dagget.com (and in plenty of other places including my other blogsite – The Right Way To Be Green) that grazing livestock on grasslands here in the West, especially when that grazing is done in a way that mimics natural herds of bison, bighorns, or other hoofed critters, can be beneficial to those ecosystems. I’ve also given literally hundreds of presentations on that topic to environmentalists and others, and when I give those presentations a majority of people in the audience are usually surprised and impressed by the photos comparing the positive effects of grazing versus the negative effects of protection. “ I had no idea.” Some comment. “I changed my mind tonight,” said another at a recent presentation. The problem is, although plenty of enviros appear to get the message, the connection doesn’t seem to last very long nor does it go much of anywhere. A few are impressed in an even less connected way. The first thing that came to mind was the definition of “nature.” Environmentalism, of course, is about “nature,” specifically about protecting it and restoring it. Cambridge Dictionaries defines “nature” as: all the animals and plants in the world and all the features, forces, and processes that exist or happen independently of people. From the Merriam Webster definition “nature” is (T)he physical world and everything in it (such as plants, animals, mountains, oceans, stars, etc.) that is not made by people. All of my presentations are about humans having a positive impact on the ecosystem, about making it more natural, more healthy, more functional. Could it be that all the problems people have with the positive examples of humans effecting the environment I present and, beyond that, the endless list of contemporary environmental issues that have to do with protecting the land from humans, are nothing more than this — merely a matter of semantics? Merely about definitions?! I’ve had a number of experiences that verify that conclusion. One of the most notable was an encounter in one of the “collaborative” groups in which I have participated over the last 30 years. At a gathering of environmentalists, ranchers, agency people and neighbors on a cattle ranch in the grasslands southeast of Tucson, Arizona, the rancher who was our host made an offer to a number of people who had expressed their opposition to cattle ranching in the “desert Southwest” several times during the day. In other words, if a piece of the planet conforms to the definition of “nature” it is healthy and good no matter what its condition. A statement like that deserves an illustration (or two). This is the Drake Exclosure, a U. S. Forest Service study plot near Prescott, Arizona. It is very nearly as bare as a parking lot. However, since it is protected from human use (and has been since 1946) it conforms to the definition of “natural.” For that reason, according to the contemporary environmental frame of reference, it is healthy and good. The land in the picture below is just outside the Drake Exclosure. (See the sign on the fence.) It has been grazed by livestock since the 1800s. For that reason, it is does not conform the the contemporary environmentalist definition of “natural” and, therefore, in need of healing (removing the impacts of humans). Does that mean the goal of contemporary environmentaism is to make it look like the land in the previous picture? 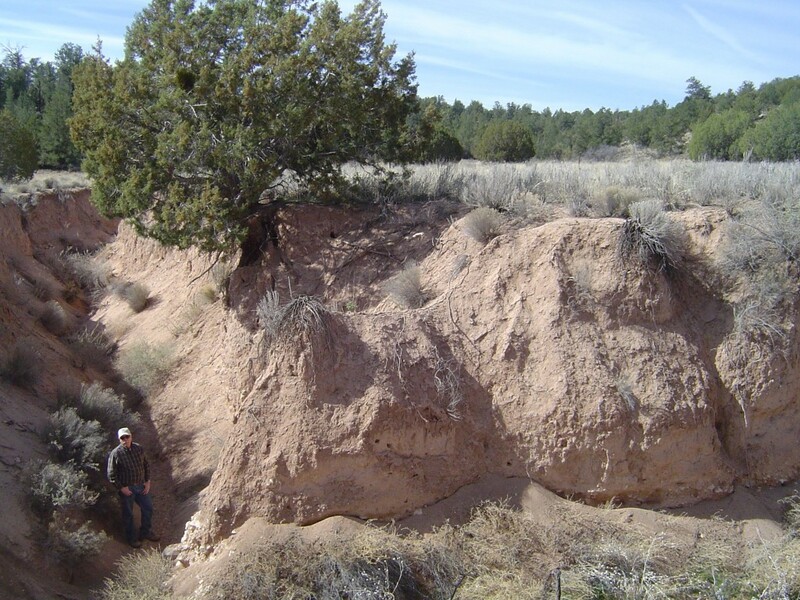 This land, along the Verde River in Arizona, had been protected for 9 years when this photo was taken. During those 9 years it had existed as “independently of human activities” as possible. According to the contemporary environmentalist frame of reference that means it is “natural” and “healed” or at least on its way to being so. 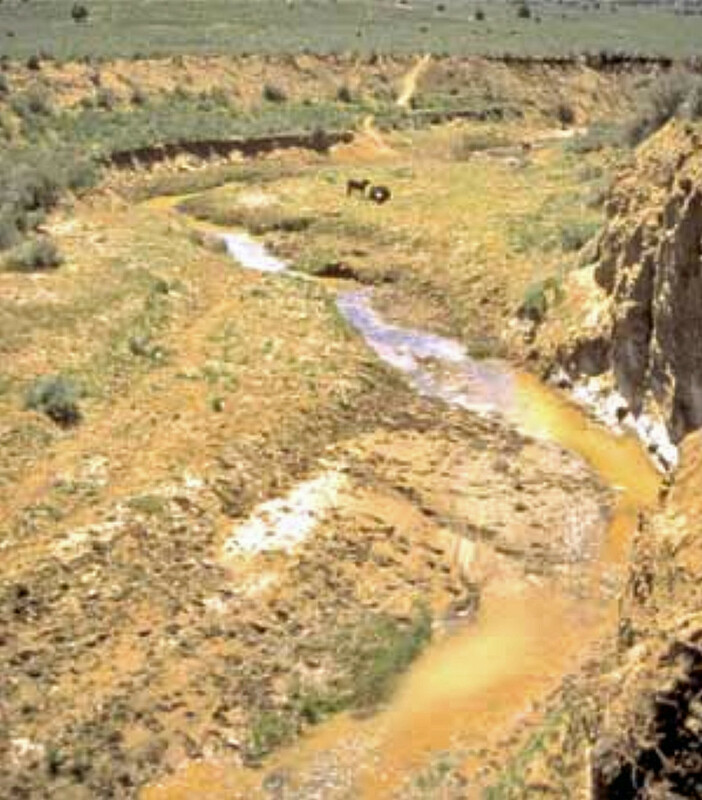 One environmental group involved in the protection of this land states: “We’ve protected more than 119 million acres of land and thousands of miles of rivers worldwide,” That, the group claims, qualifies as a “tremendous record of success” The land in the photo is a portion of those “thousands of miles of rivers” part of that “tremendous record of success” because it conforms to a definition. 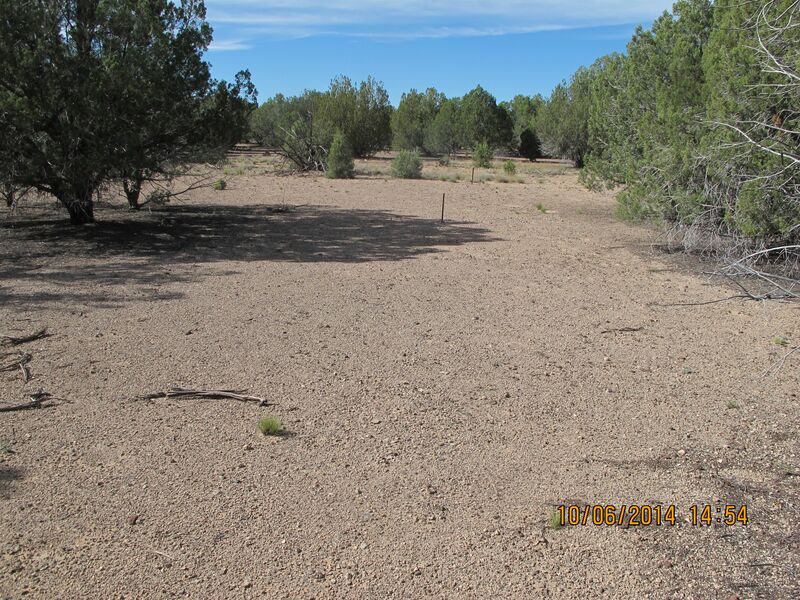 On the other hand… The land in the photo above, also along the Verde River in Arizona, is grazed by livestock. (Photos taken roughly at the same time. Yes, most of those plants are natives.) Within the contemporary environmentalist frame of reference this place is “unnatural” and in need of being “restored to nature” or “healed,” The only way to achieve that, according to the definition of “nature” is to protect the land from human activity, turning this “failure” into the “success” illustrated above. Fortunately for all of us, including environmentalists, there is a much better, much more functional, more accurate and realistic way of interpreting the concept “nature” that can provide a basis for our relationship to the world in which we live. This more functional view of what is “nature” fortunately doesn’t lead to absurdities like the ones just described. It is derived from science and experience rather than from definitions. It is a basis that we can learn about and confirm “on the ground” rather than merely by indulging in word games. First of all this functional way of relating to our environment resolves one of the main problems with defining nature as: existing or happening “independently of people.” Humans have been a part of nature for as long as any other plant or animal, i. e. for as long as we have lived on this planet. And while we’ve been here, we’ve lived and participated in nature in the same way as those other life forms. We’ve provided input and we’ve harvested output. We’ve been predators and prey; herders and harvesters; cultivators, pollinators, and seed spreaders. We’ve dunged and urinated, lived and reproduced, died, and decomposed just the same as all those other “natural” living things. From that it seems obvious: an environmentalism based on a dividing line that separates us from everything else on the planet is mistaken and useless. So, If we’re going to come up with a way to understand and practice an effective way of living on planet Earth, whether we call it, “environmentalism” or not, it has to be inclusive. It has to effectively increase our understanding of all those ecological processes we’ve been a part of and continue to be a part of today. Oddly enough, the best candidate for such an understanding comes to us from the space program and our efforts to visit other planets. In the 1960s, in advance of sending a probe to Mars, NASA decided it might be good idea to know in advance if there is life up there, so they enlisted a number of scientists to come up with a way to tell if there is life on a planet without (or before) visiting it. Among those scientists was James Lovelock, an English chemist known for thinking out of the box,. Lovelock noted that there are a number of characteristics of our own planet that cannot exist without being sustained in some way (or, in other words, by some thing). For example, there is no way our planet’s atmosphere could stably consist of 20+% oxygen (which it does) if left purely to the vagaries of chemistry. Oxygen is a very reactive gas. That means it would quickly react itself into compounds with other chemicals and trend to zero or nearly so if something wasn’t replacing and sustaining it in its pure or free form. (Venus and Mars, for instance, contain 0.00 percent and 0.13 percent, respectively, of free oxygen.) Here on Earth, plants, both on land and sea, produce oxygen as a byproduct of photosynthesis. In other words, they produce one of the main components of a habitat that will sustain life for life by the process of living. Something similar happens in the case of the salinity of the oceans. In spite of the fact that every year roughly 500 million tons of mineral salts are eroded and dissolved from the Earth’s dirt and rocks and carried by streams and rivers into the planet’s oceans, the salinity of those waters remains a surprisingly stable 3.4% and has for a very, very long time (millions of years). Lovelock considered it no accident that this is exactly the level of salinity required for the continuing existence of the forms of life that inhabit the seas. (And we’re supposed to worry about a little more carbon dioxide. And while we’re at it, think about those ranchers and cowboys, and cows and grasses, or Indians and bison, and The Great Plains, etc. Lovelock attached the name “Gaia” (the Greek name for the Earth Goddess) to his hypothesis at the suggestion of an author friend. The name has the unfortunate (in my opinion) effect of making his conclusions susceptible to being co-opted by mystics (for pantheistic purposes) and feminists (for political purposes). In spite of that, the most notable implications of Lovelock’s hypothesis are decidedly practical. Consider those photos we looked at a few paragraphs back. If we interpret them in terms of Lovelock’s hypothesis, what seemed like an absurdity at the time (That’s healthy?! And that’s not?!!) now makes perfectly good sense. The green photo is green because living things, including cattle and humans, have developed the conditions for life and are sustaining them by the act of simply living. Humans are acting as predators, cows are prey, humans are moving and circulating cattle, who are harvesting, recycling, seeding, tilling, and fertilizing. The result is a prosperity that benefits more than cows and humans. It benefits deer, rabbits, mice, fish, birds, bugs, plants, microbes, the list is longer than I have room to include here. In the other photo, the most significant predators, prey, circulators, harvesters, recyclers, seeders, tillers, and fertilizers have been removed, and where the interaction of living things has been reduced, so have the conditions to support life and, thus, so has life itself. Translation: protecting the environment from humans performing the functions Lovelock identified as sustaining the conditions for life does no favor for the environment, nor for us, nor for anything, really. Unless, of course, you live in a world where semantics matter more than results… or more than sustaining the conditions for life. Actually, I’ve been describing the content of both of my blogs/websites — “DanDagget.com” and “The Right Way To Be Green” as “conservative environmentalism” since their inception, and any web search for that category would have turned up one of both of those sites as one of the top hits. In celebration of this event I’m posting the introduction to one of my books — Gardeners of Eden, Rediscovering Our Importance To Nature because it describes the principles of this alternative to left-wing environmentalism so well. Waddie Mitchell, cowboy poet and one of the founders of the annual National Cowboy Poetry Gathering in Elko, Nevada. When Dan Dagget moved west to Flagstaff, Arizona, in 1980, one of the first things he did was become involved as an environmental activist. 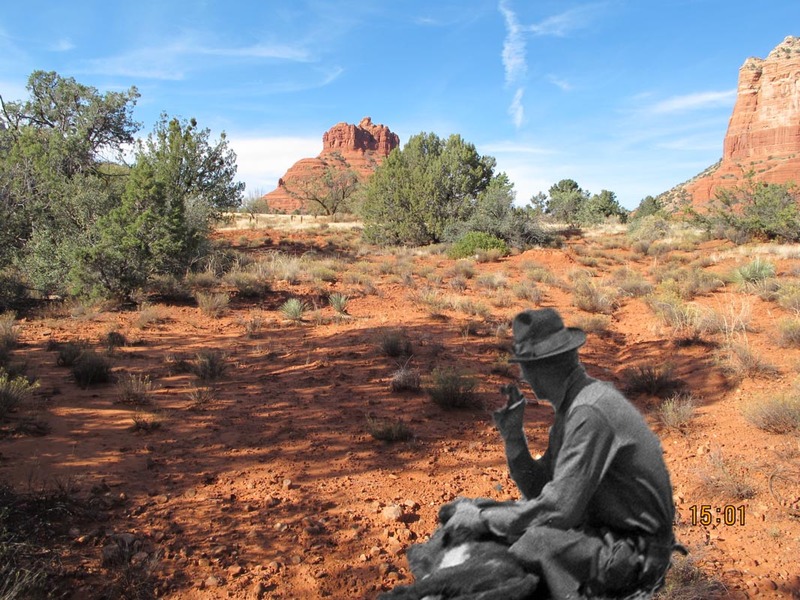 Dagget worked with a variety of groups, some of which he originated, to designate wilderness, increase protection for mountain lions and black bears, and he helped initiate a campaign to ban uranium mining in the vicinity of the Grand Canyon. His involvement in that latter campaign included helping to organize some of the first direct actions of Earth First!. In 1992 he was designated one of the 100 top grass roots activists in the United States by the Sierra Club. Over time Dagget came to focus mainly on issues involving the rangelands of the West and the issue most relevant to them — livestock grazing. He wrote two books on the topic Beyond the Rangeland Conflict Toward a West That Works (which was nominated for a Pulitzer Prize) and Gardeners of Eden, Rediscovering Our Importance to Nature. The surprise is, according to Dagget, the problems purportedly caused by grazing haven’t gone away even where grazing has. 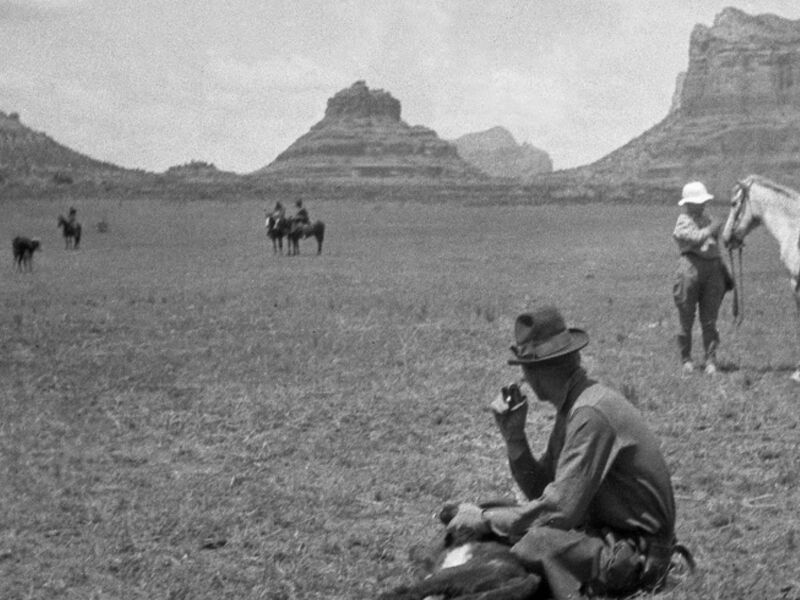 In fact, he says, they have become worse, so much worse that a significant portion of Western rangelands may be in worse condition today than they were when the campaign to protect them was at its hottest. What is different, however, is that the responsibility for the deteriorated condition of the western range has shifted — reversed, in fact. 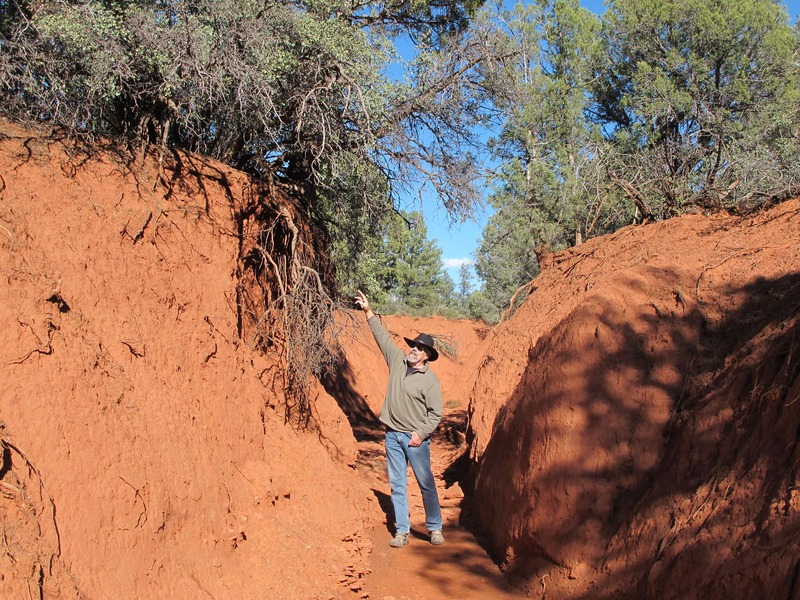 Now, says Dagget, it is protection and regulation and the advocates of those policies that are causing the most significant damage to the rangelands of the West. 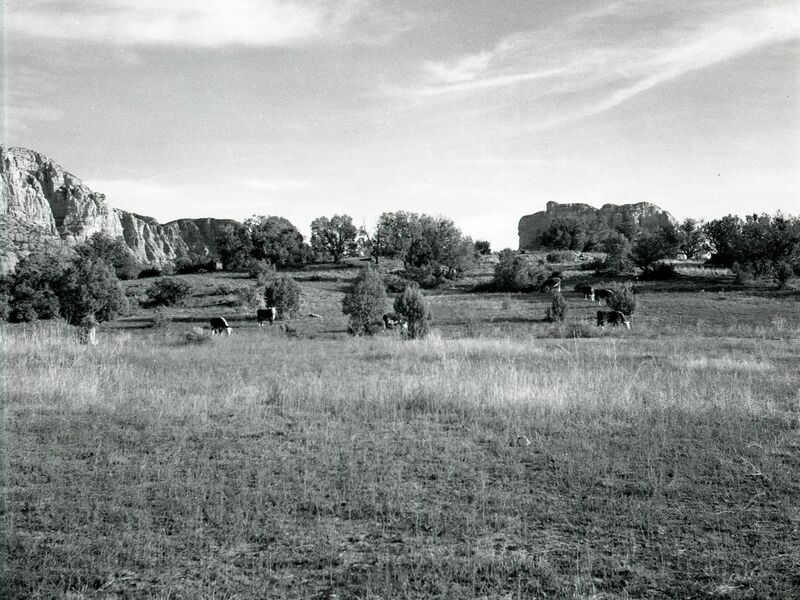 Dagget supports this observation by presenting old photographs of rangeland while it was being grazed compared with re-photographs of those exact same locations after several (as many as 80) years of protection. 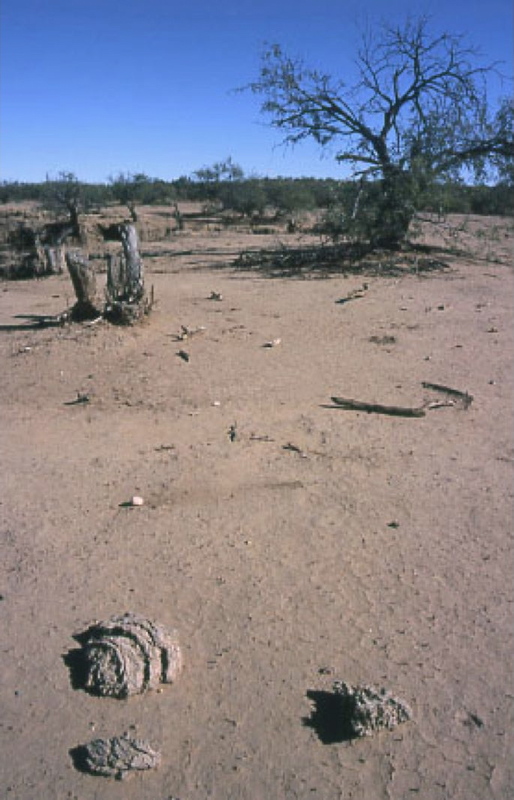 In addition he compares some of the “bad” photographs that were used to make the case against grazing in the old “cattle-free” days with photographs of damage that has occurred while land has been protected. You’ll be surprised to see which damage is greater. Today, Dagget works to create a conservative environmentalism intended to make all sides in environmental issues accountable based on the results, rather than the political correctness, of their actions. Dan Dagget’s newest book — Gardeners of Eden, Rediscovering Our Importance To Nature has been called “the most important environmental manifesto since Aldo Leopold’s Land Ethic,” It is available via the University of Nevada Press at 877- 682-6657 and www.nvbooks.nevada.edu or at http://www.Amazon.com. His first book, Beyond The Rangeland Conflict, Toward a West That Works was nominated for a Pulitzer Prize and has been called one of the classics dealing with environmental issues of the American West. Most likely you’ve suspected that the current flap over “climate change” isn’t the first time our society has been torn apart by a controversy over the weather and our alleged effect on it. And, of course, you’re right. So, are there any similarities between those ancient climate change witch-hunts and the ones we’re conducting today? How well is that working? About as well as it did the first time — in the 1500s. For confirmation check The War on Poverty and the War on Racism. As you check the War on Racism and encounter those photos of people standing in front of the burning buildings in Ferguson, think about how much those images resemble the paintings of people holding their torches and pitchforks backlit by burning (I don’t even want to say what) during those earlier witch hunts. When I went to the Guardian website I didn’t find the severed head photo, nor could I find the comment from Bluecloud. Instead I found a photo of people costumed as “zombies” and a reference comparing debunking climate change myths to killing zombie and complaining about how tiring it becomes having to kill and re-kill myths that never stay dead. Further web research revealed that the Guardian had removed Bluecloud’s comment as well as info revealing his identity. In various other articles writers have suggested that: “Climate Change Deniers” be subjected to Nuremberg-style trials, that firemen let deniers’ houses burn down (because those who deny climate change are willing to let our planet burn up); That deniers be executed. (Strangling them in their beds is one suggested method.) A New York Times cartoon even suggested stabbing deniers in the heart with icicles as justice for the deniers” claiming that the severe winter of 2013-2014 (which formed plenty of icicles) served as proof Global Warming was a hoax: A 2010 climate campaign video even shows a teacher blowing up students who didn’t sign on to cut their carbon footprints. In a time when people being beheaded and burned alive has become de rigueur on the daily news, advocating beheading people or burning them at the stake, even if it is alleged to be “mere rhetoric,” makes me wonder where this is all headed. This brings to mind another point of identity between those earlier witch-hunts and our contemporary versions — the fact that deniers attract the most venom from the blamers, more venom even than the alleged perpetrators of said crises. If your modus operandi is never waste a serious crisis (as it is for modern liberals — thanks, Rahm Emanuel), the last thing you want is for someone to debunk your crisis. During the 15th and 16 th century, confessing guilt as a witch and admitting that witchcraft was responsible for altering the weather could get you a reprieve and forgiveness. Denying it could get you burned at the stake. And we wonder why Republicans are so reluctant to mount an open opposition to these campaigns. How can conservatives counter this…? Not very well, apparently. It isn’t the business of free market solutions to counter crises that are trumped up, imagined, or manufactured in order to provide a leg-up to political power. For example, the fact that no one can prove the Earth is actually warming aids Climate Changers more than deniers. If the Earth was truly getting warmer, oceans would be rising, cities would be flooding, crops would be failing, and, well, everyone knows that the best way to deal with any real problem is with capitalism, private enterprise, and the free market. If the globe actually were warming, quite likely most of us (including Climate Change Crusaders) would have to turn to a conservative, free market approach to actually solve the problems thus created, and the Crusaders would be put out of business, at least temporarily. While free enterprise establishes its legitimacy by solving concrete problems, liberalism campaigns itself into positions of power by using problems that can’t be solved because they are trumped up, manufactured, or distorted to be immune to pre-emption by the free market and conservatives. Take the issue of race. Republicans are currently cast as villains in this issue and are even blamed for trying to recreate slavery in spite of the fact that a Republican (Lincoln) ended slavery in the U.S. and more Republicans than Democrats voted for the Civil Rights Bill. Also, Republicans, rather than Democrats, are the most functional supporters of Martin Luther King Jr’s dream that people should be judged by the content of their character rather than the color of their skin. The free market judges people by what they do, what they are able to achieve, how hard they work, in other words, by the content of their character. These days that will get you classified as a racist. Another example from the list of crises manipulated by liberals to serve as an excuse for a witch hunt is poverty. Democrats/liberals tell us that poverty and income inequality are created by capitalism and the producers within our economy, even though it is capitalism and free enterprise that has made us the wealthiest nation the world has ever known. The free market is thus ruled out as a source of solutions to poverty except to be parasitized and the wealth it creates confiscated and redistributed. If initiative and inventiveness are applied to solve the problem of poverty — to solve any problem — they must be applied in service to liberal prescriptions — renewable energy, wealth redistribution, reducing human impact. Otherwise they will be blamed for increasing human impact, climate change, causing the sky to fall. In the meantime, blacks, poor and others who are willing to give up their right to realize the content of their character and rise to their full potential via their own initiative, creativity, and enterprise are indentured to the dole and required only to vote Democrat, raise a little hell, and conduct some witch hunts (to keep Republicans intimidated) to stay on the plantation. The best way to counter climate change as far as I can see is to stop trying to debunk it with dueling thermometers and climate studies and reveal it for what it is, a Trojan Horse dressed up in a Chicken Little outfit and filled with an endless supply of witch hunters. I like to find things out for myself, on the ground, so to speak. So, rather than read a bunch of studies in which I have little to no faith, I decided to try a technique which, as far as I know, no one else has tried. If you’ve spent much time on this blogsite, you’ve heard of the Drake before, and you’ve seen photographs of it. If that’s the case, you know what it looks like, and if not, well, here it is — bare as a parking lot. I know it surprises most of you to encounter a piece of land that is “protected” and, nevertheless, in this condition. It surprises virtually everyone I tell about it, but bare it is. Most people whom I tell about the Drake assume that it is bursting with growth when I tell them it has been protected from grazing for more than 65 years (68 and counting). I don’t intend to explain here why this is not the case, but if you want to know more about this apparent contradiction of environmentalist conventional wisdom just search the blogsite for “Drake,” and you’ll get the picture. Actually, you’ll get a lot of them. Right here and now, I’m using the Drake purely to illustrate the fact that, in some cases at least, protecting the land contributes significantly more to planetary warming than grazing it (as much as 44° in this case). The high reading I got on the Drake was 122°. In 1980 when I first moved to the West, to Flagstaff, Arizona, one of the first things I did was become involved as an environmentalist and join the Sierra Club and, shortly thereafter, Earth First!. I was excited about my new home, about the mountains, canyons, rivers, and wide open spaces, and wanted to keep those things as spectacular, healthy, open and free as possible. Livestock grazing was blamed for endangering species, destroying vegetation, damaging wildlife habitats, disrupting natural processes, and wreaking ecological havoc on riparian areas, rivers, deserts, grasslands and forests alike. 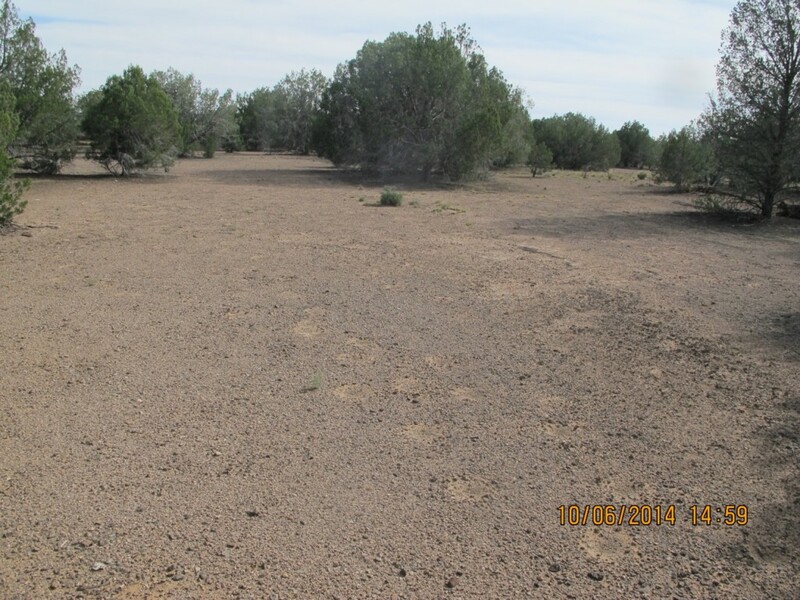 What most caught my attention about this campaign against public lands grazing were the photos of denuded, eroded, cowturd-littered landscapes. Those photos served as one of the most effective tools for communicating the damage described above to those, like me, who were most likely to be concerned and recruited. To make a long story short, I got involved in the campaign to protect public lands, wrote a couple of books about the topic in regards to rangelands (actually about environmentalists and ranchers working together), and ended up enjoying a fairly rewarding speaking career about the matter. Over time, the furor over public lands grazing has lost much of its intensity. Although grazing continues on public lands, it is highly regulated and significantly reduced. In fact, it has been totally removed from many areas where it had been standard operating procedure for more than a century. Also, Global Warming/Climate Change has replaced it (as well as a number of other issues) at the top of the eco-issues hit parade. Living in Arizona, and remaining just as concerned about the mountains, canyons, rivers, and wide open spaces that have been my home now for 34 years, I have continued to keep track of the areas I made such a big deal about as a wilderness advocate and crusader for “healthy ecosystems.” As a result, I have something to report that may surprise you. It certainly surprised me. The surprise is, the problems purportedly caused by grazing haven’t gone away even where grazing has. In fact, they have become worse, so much worse that a significant portion of Western rangelands may be in worse shape today than they were when the campaign to protect them was at its hottest. What is different, however, is that the responsibility for the deteriorated condition of the western range has shifted — reversed, in fact. Now it is protection and regulation and the advocates of those policies that are wreaking havoc on our natural heritage. This is something you have to see to understand — and to believe. 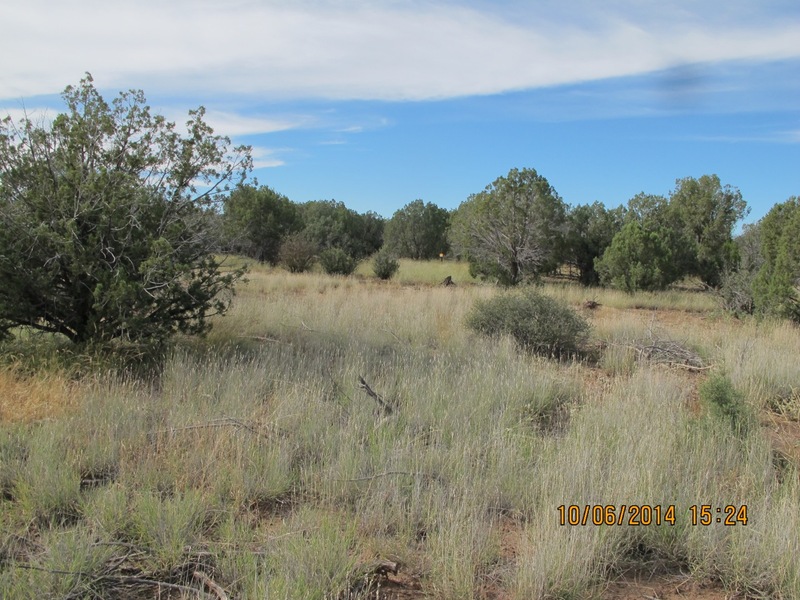 Having noticed the poor and deteriorating condition of the rangelands near my home in Sedona and on trips as far afield as Big Bend National Park in Texas and Jasper National Park in Canada, I started taking photographs to confirm my concern. 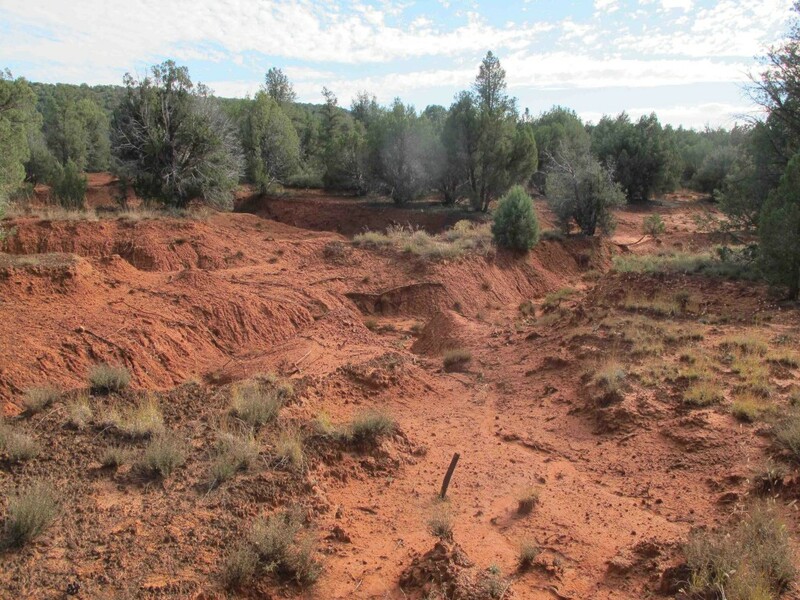 First, I took photos of the most eye-catching (and mind-blowing) examples of degradation on lands that are now “protected” but were grazed in the past. That ignited my curiosity, and inspired me to start ferreting out old photographs of those exact same places while they were being grazed. These I located via local U.S. Forest Service offices, museums, books, and the internet. I even copied some from old movies (An old Elvis movie — “Stay Away Joe” was one of my sources). 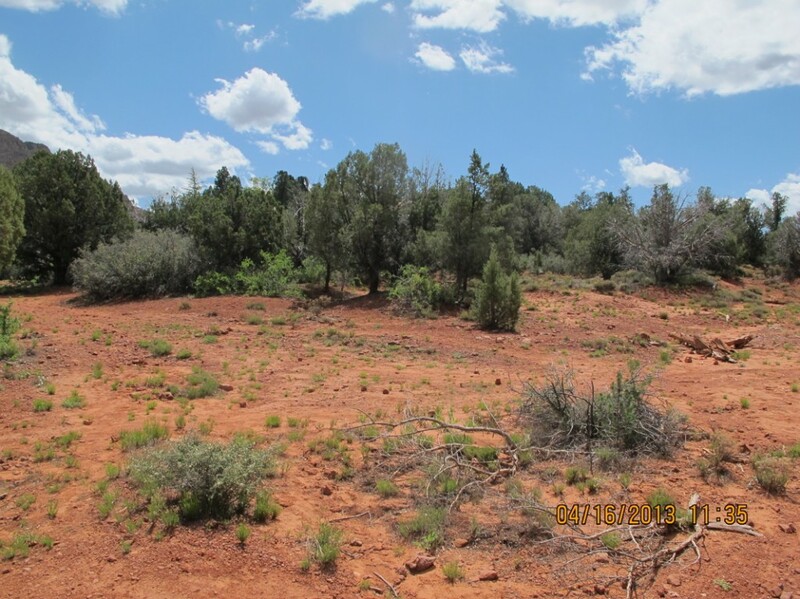 One of the first “before and after” comparisons that caught my eye is illustrated by the following pair of photos from along a favorite hiking trail near Sedona. The first photo (courtesy of the Sedona Heritage Museum) was taken on 12/29/1957. Grazing was ended on this site shortly after this photo was taken. 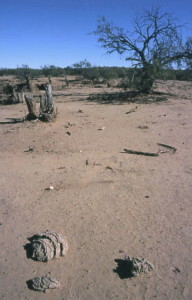 The next photo shows the exact same place in 2012 after 55 years of protection from grazing. 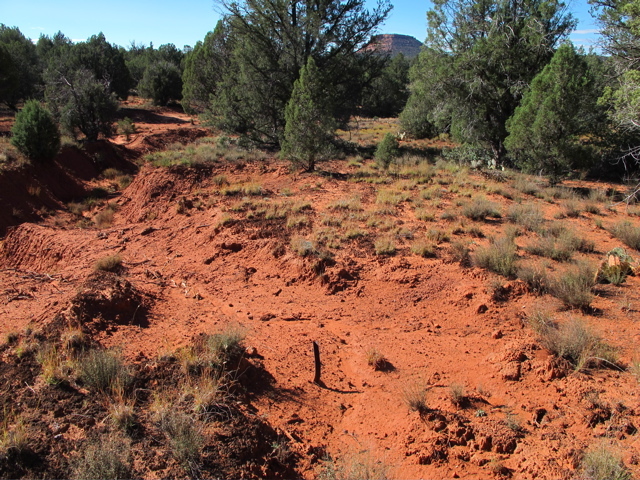 The mountain on the upper right in the first photo (Courthouse Butte) doesn’t show above the trees in the second photo because the trees are bigger, and the point where I took the re-photo is lower than the original photo point, according to my rough calculations, due to 3 to 4 feet of soil erosion. 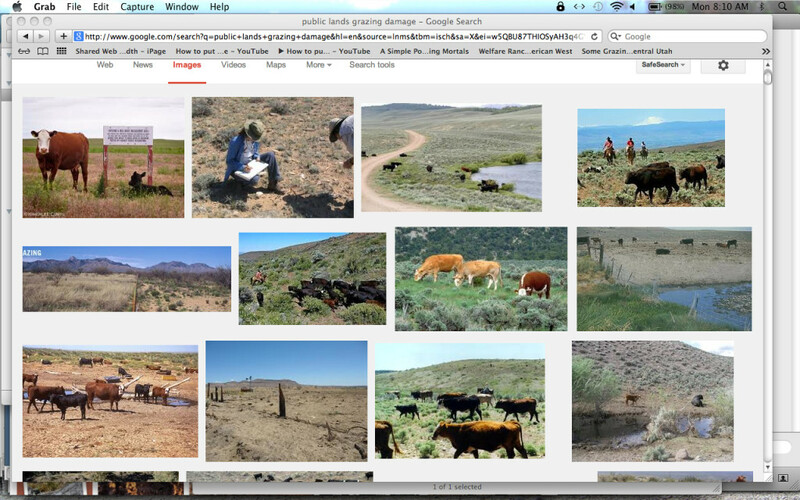 Next, I located some old U. S. Forest Service photos of old rangeland monitoring sites used to evaluate the effects of management (in this case grazing) on Forest Service lands. 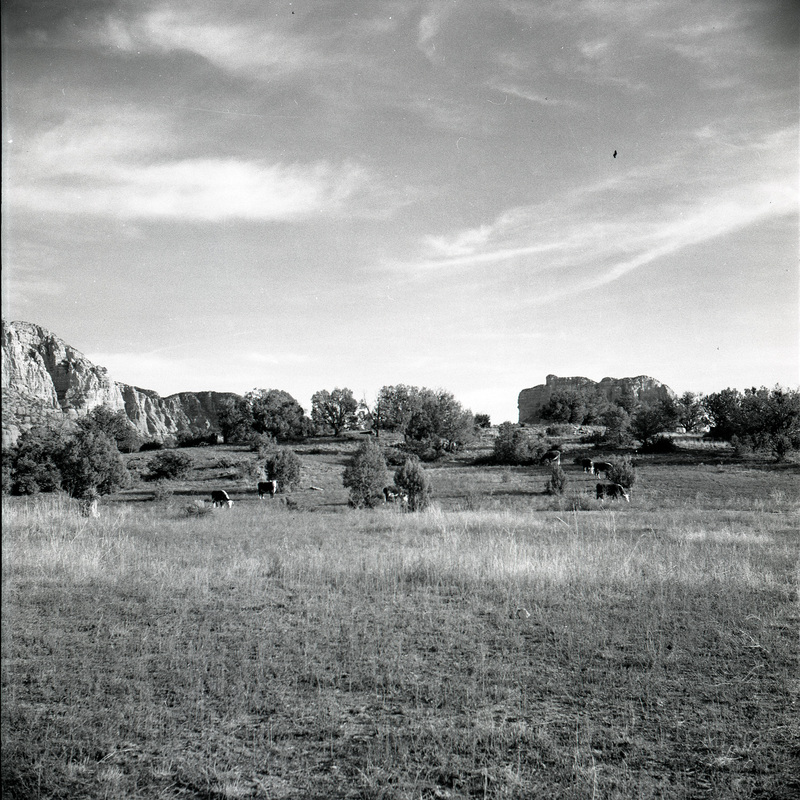 Here’s an example — a photo taken in 1963, also near Sedona, of an area that had been grazed for more than 50 years. 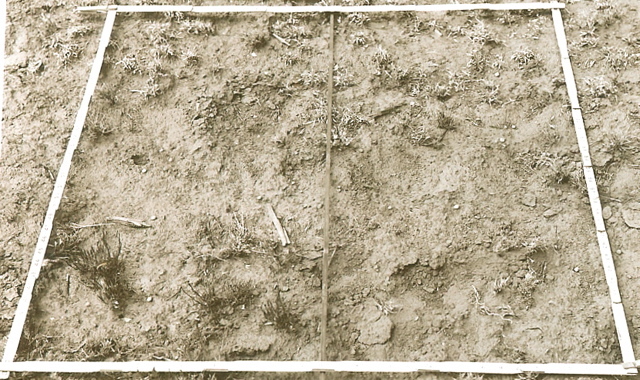 In 1963 the grass was short (most likely it had recently been grazed), but you can see the plants were close together, the coverage was fairy complete, and there was little evidence of erosion. 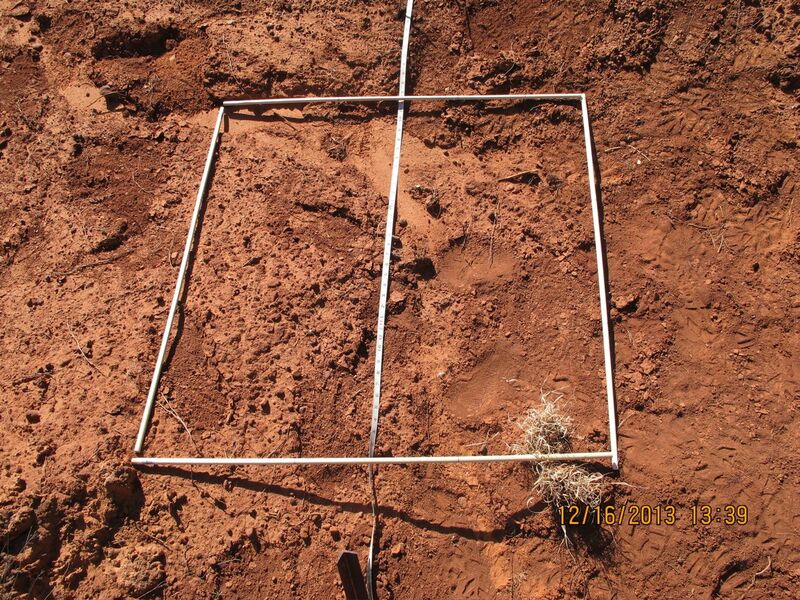 I even located a photo of a 3 foot square frame by means of which the plants in a certain part of the transect were identified, recorded, and mapped to enable the USFS to accurately read and record any change that happened. Forty-nine years later (2012) I took a photo of that exact same site. I even relocated (and re-photoed) the frame. 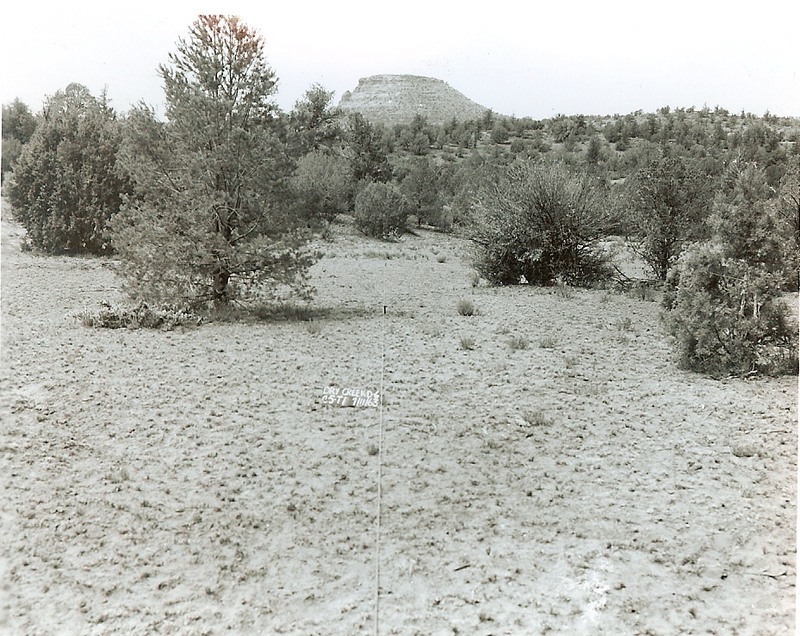 According to the best information I can find, grazing was removed from this area “before 1981,” so, at the time of the re-photo, the area had been protected for 30+ years. Interestingly, a U. S Forest Service Range staffer, upon visiting this site with me in 2013, and comparing what she saw with the 1963 photographs said, “Well, The grass looks healthier now than it did back then, except where there isn’t any.” ”Where there isn’t any” is just about everywhere. To give an even bigger picture of what’s happening here I’ve included a photo from nearby on the same grazing allotment. This is where things really got surprising — the great majority of those “cows destroy the West” photos were mild, ho-hum, no big deal in comparison. Some even looked like positive impact photos. Here’s the collection of images that resulted from one of those Google searches. Why do we not hear a peep from them about the apparently much more damaging effects of protection on public lands in, for instance, this photo? 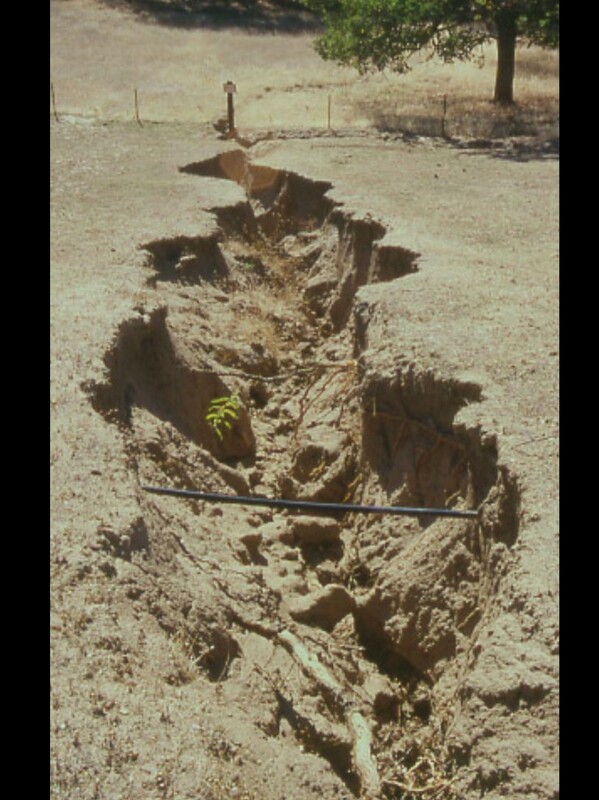 This drainage, in an area that has been protected from grazing for more than 30 years, has eroded to a depth of more than ten feet. One thing that qualifies protection for this distinction is that the damage it causes is not only more severe, it is more permanent — more permanent because it is a one way street. 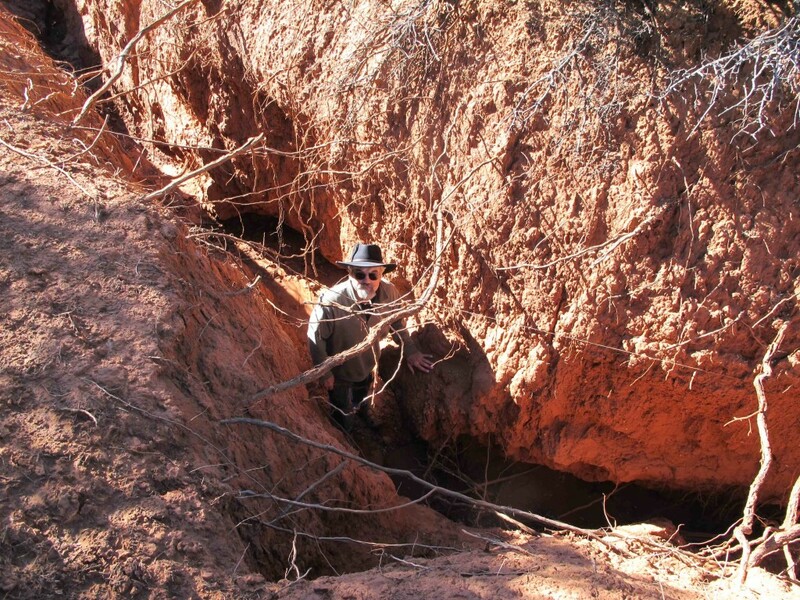 Ask protectionist groups what they can or will do to heal the damage shown in the photo of me looking up through those protected tree roots or that fellow peering out from that huge eroded gully in the White Hills Study Plot, and the great majority of them will tell you, “Protect it longer.” One activist has told me, “It might take more than a lifetime.” The White Hills Study Plot has been protected for 78 years. That sounds like a lifetime to me. I’ve written books and articles about ranchers who have healed damage greater than anything shown among the “grazing destroys the West” photos by using their management practices and their animals as the means to perform that healing. In fact, I’ve done some of those restorations myself. Those restorations took days instead of lifetimes. In fact, I have some dynamite photos. See the photo sequence below. Before (This would make a good “Cows destroy the West” photo. Watch the skyline these photos were taken in the same place (within a couple of feet). The results! Not bad, eh? To their credit a few environmental groups and collaborative associations are using those grazing-to-heal techniques today. I suspect that, in some cases, they’re even using them to heal the effects of protection. But to heal damage, you have to be able to see it, be aware that it is there, and you have to want to heal it. Environmentalists have trouble seeing the damage they cause because they suffer from a type of blindness of which they have accused ranchers for as long as I’ve been involved in this issue. Environmentalists accuse ranchers of being blind to the damage they cause to the land because they (ranchers) consider what they do (raise food for people by using resources they believe God gave us just for that purpose) so valuable and so righteous that they refuse to see, just plain ignore, or consider irrelevant the damage it causes. This phenomenon — being rendered blind to the damage you cause by your own feelings of righteousness — is a more accurate description of an affliction that plagues the green side of the aisle. When environmentalists say, “We all want to protect the environment,” they use the word “protect” in its vague general sense: “to protect from hurt, injury, overuse, or whatever may cause or inflict harm.” The idea that “protecting” in this sense could cause harm to anything doesn’t make any sense. How could saving something from harm cause it harm? If you peel away this blindfold of righteous semantics, however, as the photographs in this article have done, it becomes evident that the ecological impacts of “protection” may actually “exceed that of any other western land use” including grazing. The implications of this are clear… If environmental groups and government agencies truly want to achieve their stated mission — to protect the environment from whatever may cause or inflict harm — they’ll have to open their eyes to the damage caused by what they call “protection.” And hold this environmentalist panacea as accountable as any other land management method. Profile written by Courtney White, originally published in Headwaters News. Dagget’s book “Gardeners of Eden” urges humans abandon their hands-off preservation efforts and put Nature to work. “When author Dan Dagget gave a talk recently at the annual Bioneers Conference, near San Francisco, he began by asking audience members if they had taken care of their environmental responsibilities that day. Had any of them gone hunting in a pack? Started a grass fire? Piled rocks in a gully? Chased any bison off a cliff? “In response, some people jumped to their feet and walked out of the auditorium. Most environmentalists I know consider themselves non-religious, even anti-religious. A few subscribe to “new” religious denominations such as Unitarianism, which I have heard described as “church for atheists with children.” None, as far as I know, would take kindly to being described as practitioners of fundamentalist, Bible-thumping, “ol’ time religion”. The irony, here, is that contemporary environmentalism and fundamentalist religion have so much in common. Take the most basic assumption of contemporary environmentalist doctrine. Individual environmentalists and environmental organizations, alike, hold that the one and only way to solve the problems they address is to “protect” the environment. Who they would protect it from, of course, is us, based on the further assumption that everything that goes wrong with the environment — desertification, species extinction, invasion by non-native plants, etc. — is the result of human misuse or overuse or just plain use of “nature” or the ecosystem, or whatever you choose to call our surroundings. This assumption has become so all-encompassing that we now even blame ourselves for occurrences we used to call “natural” disasters.. Hurricanes are our fault (a result of Global Warming). Weather too hot — our fault. Too cold — ditto. There are even plenty of people who say earthquakes and tsunamis are our fault; also caused somehow by Climate Change. Such a line of reasoning leads inevitably to the conclusion that the only way to solve any and all environmental problems is to somehow get us humans to use less, produce less, and reproduce less. So, at environmentalists’ behest our government creates such things as wilderness areas and nature preserves, on the theory that nature-left-alone will heal its human-caused wounds and help sustain at least a part of the planetary life-support system. In some countries, Canada, for instance, there are areas into which humans are forbidden to even set foot. More radical environmental groups, such as Earth First! (which I played a small part in helping to form) are pushing for similar measures in the U. S.
You’re not paying attention if you haven’t recognized this as simply a rerun of the biblical story of the expulsion of Adam and Eve from the Garden of Eden. So, as modern day green fundamentalists engage in a ritual re-creation of the expulsion of “the Lord Man” from Eden, one could make the case that they are indulging in a religious exercise rather than applying a practical effort to solve environmental problems. • the extent to which they are able to inject their doctrines, prejudices, and policies into the rules by which our society operates. Does this approach of using religious-style rituals, exorcisms, and crusades work to make the environment any better, healthier, more sustaining? To true believers that question doesn’t even make sense. Religious truth is a matter of faith. It can’t be falsified by experience or fact. Can you prove via experience, facts, or science that God didn’t make little green apples, that Buddha wasn’t truly enlightened, or that Islam isn’t the religion of peace? In the same way, and for the same reasons, it is just as impossible to debunk the charge that we are the cause of global warming, climate change, species extinction, or whatever. This is why using environmentalist dogma to guide the creation of legislation and regulation violates the separation of church and state. It is also why doing so can lead us to results that are just the opposite of what we intend. If environmental policies can’t be proved wrong by experience, facts, or science, there is no way to prove that they don’t work, even when their results are absolutely disastrous. This fatal flaw isn’t limited to environmental policies, it extends throughout liberalism. The reason it is impossible to prove (at least to liberals) that wealth redistribution doesn’t solve the problem of poverty, no matter how much poverty rates increase under those policies, or that Obamacare doesn’t create the best health care system possible, no matter how much rates increase or how many people end up without insurance as a result of those policies, is because liberalism, as well as its offspring, environmentalism, is a matter of blind faith, not reason.